This is installment two of my late night cooking series. This time, I’ll be introducing Shanghai Vegetable Rice, which I dub as the Asian style risotto. I have to admit, this late night cooking project was brought on by a hangry attack and rescued by a sneal. I have a love for U.S. slang and play on words (how ingenious is the word brunch?) Two examples that have amused me to no end lately, are the words “hangry” (hungry + angry) and “sneal” (snack + meal). When you are in a hangry situation, it’s not enough to just throw some fruit or crackers or even a bag of chips at the situation. 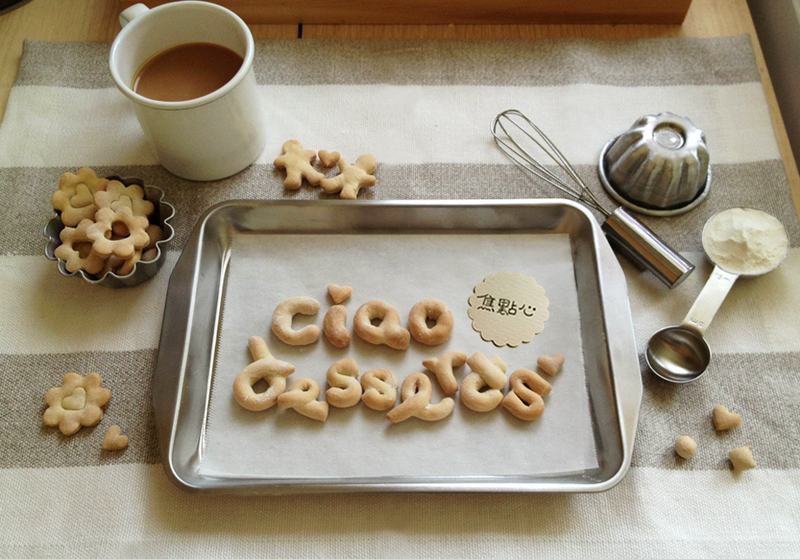 Instead, you need something warm, and preferably with carbs. 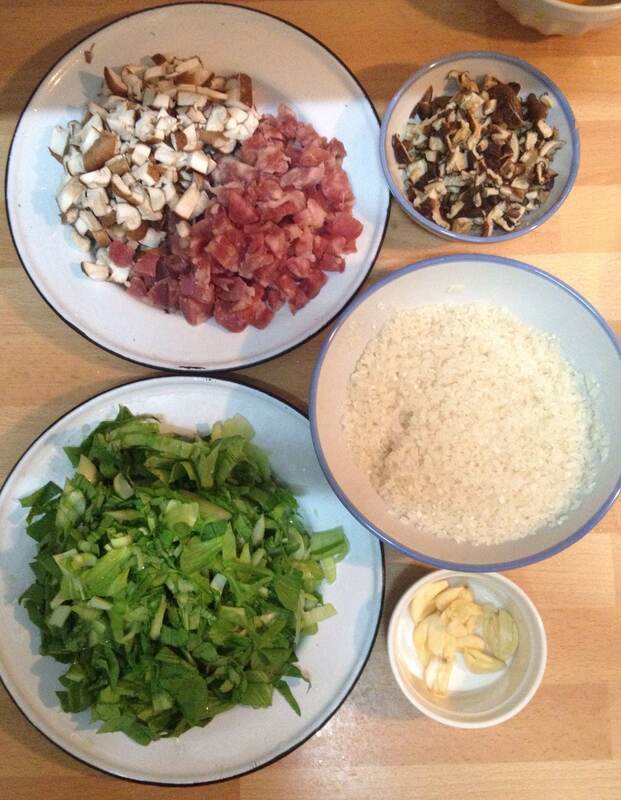 The steps to make Shanghai Vegetable Rice are quite straightforward too. 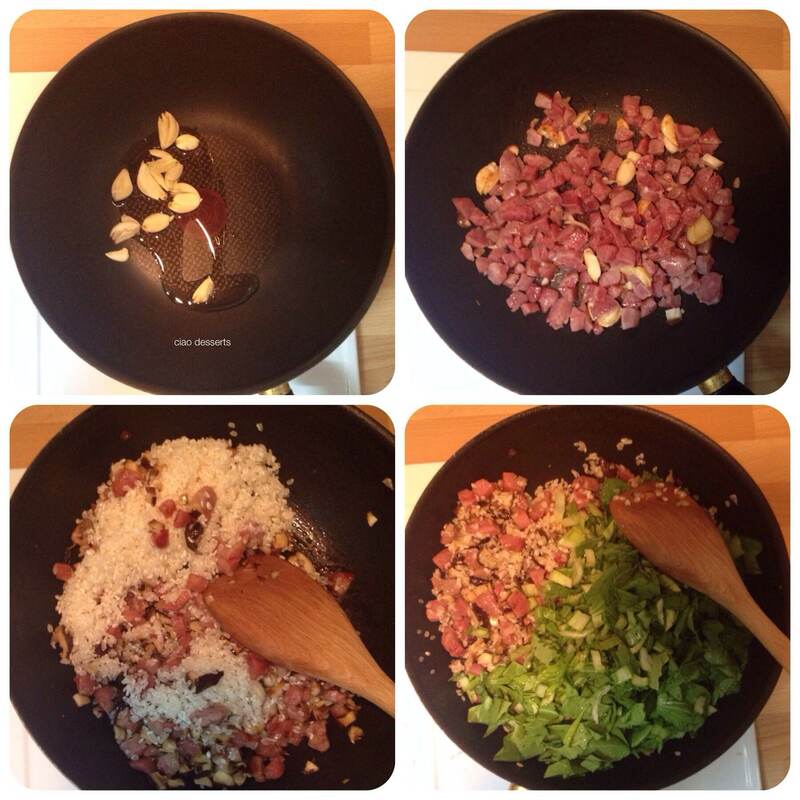 First you brown the garlic, add in the sausages, then you stir in the rice (raw rice! not cooked!) Lastly, you gently fold in the bok choy. Then you add in your broth or water, and pop the lid onto the pot and turn the heat to a low simmer and hope for the best. I’ve almost never cooked rice in a pot before (I have a rice cooker which requires no skill or brain power whatsoever, as long as you measure properly, remember to plug it in, and turn it on) so this process of cooking rice in a pot makes me a bit nervous. I almost just about imploded from anxiety when the liquid was absorbed, but the rice was still a tiny bit hard. Luckily for me, (and the rice) my phone rang, so I turned the heat off, popped the lid back on and proceeded to chat with my friend about 10 -15 minutes or so. And… that was indeed the magic trick. After I turned the heat off, the rice continued to steam in the residual heat of the pot, and it turned out to be perfection. 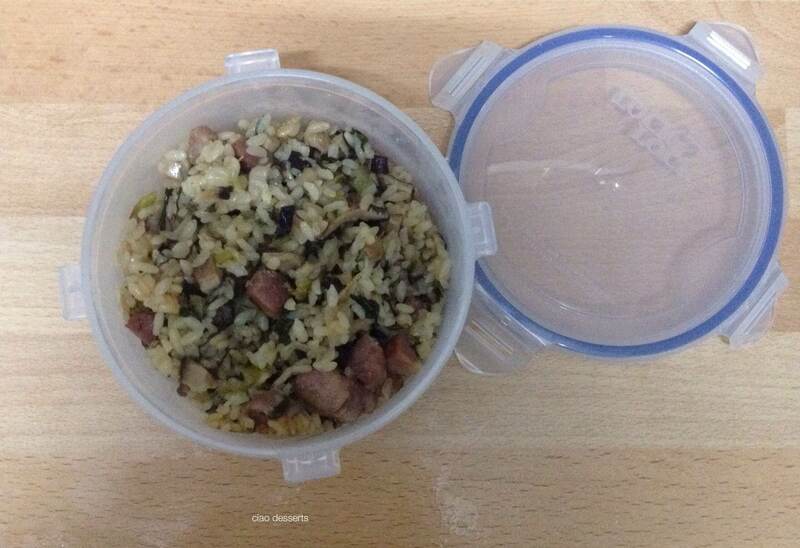 Of course, there was enough rice left for dinner the next day, and enough to make a tiny bento to shove in the back of the fridge to stave off hangry attacks that may occur later in the week. Cut the bok choy, mushrooms and sausages. Stir fry the garlic and mushrooms. Add in the rinsed and uncooked rice, stir. Add in the bok choy, stir gently until all the ingredients are incorporated. Lift the pot lid, check to see if the broth has been absorbed. If not, cook gently for another 2 minutes or so. If so, turn off the heat, replace the lid and let the rice sit for about 15-20 minutes.